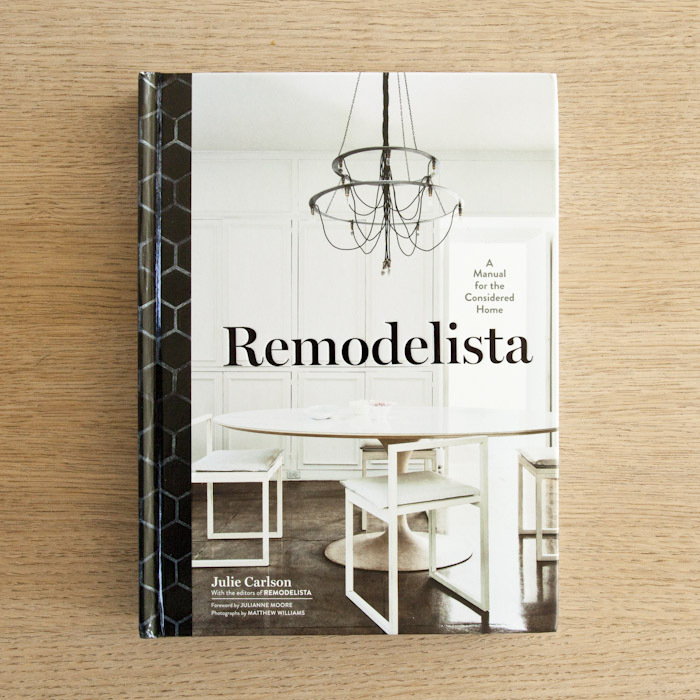 We recently bought a copy of the new Remodelista book, which contains a mix of houses, kitchens, bathrooms and design ideas that are surprisingly accessible. It’s definitely a particular aesthetic, but of course one that we gravitate to: natural materials, plenty of white, and considered accessories. 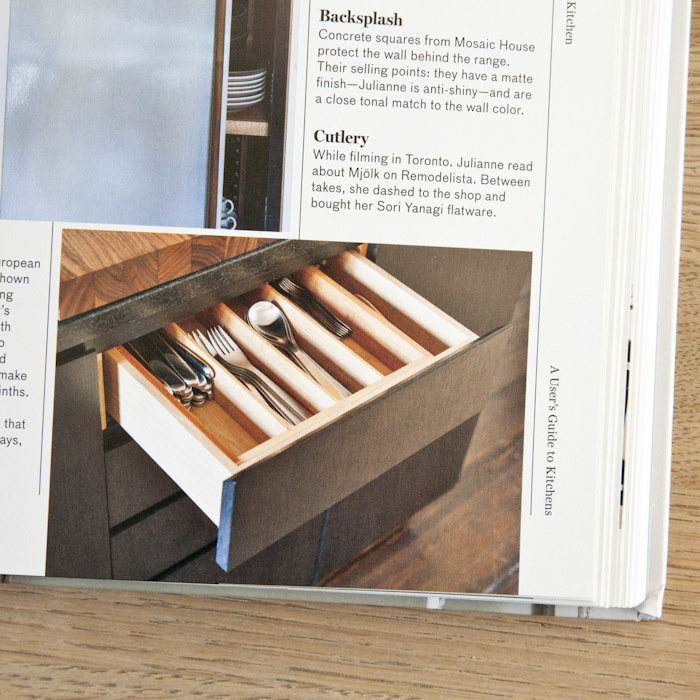 Notably for us, we couldn’t believe it when Julianne Moore mentioned our shop in her foreword. I think her experience of using Remodelista is one that many can relate to. It’s the only resource on the internet that we’ve found that does such a great job of sourcing the best within a particular aesthetic. I mean, try googling “modern [insert fixture, furniture, accessory, building material etc here]”. 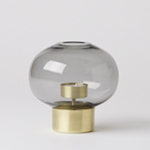 I can guarantee you will spend a lot of time sifting through very unmodern products! The aforementioned Sori Yanagi flatware. We use it at the cottage and love it. Substantial but not heavy, and the knife is so sharp it can cut steak easily. 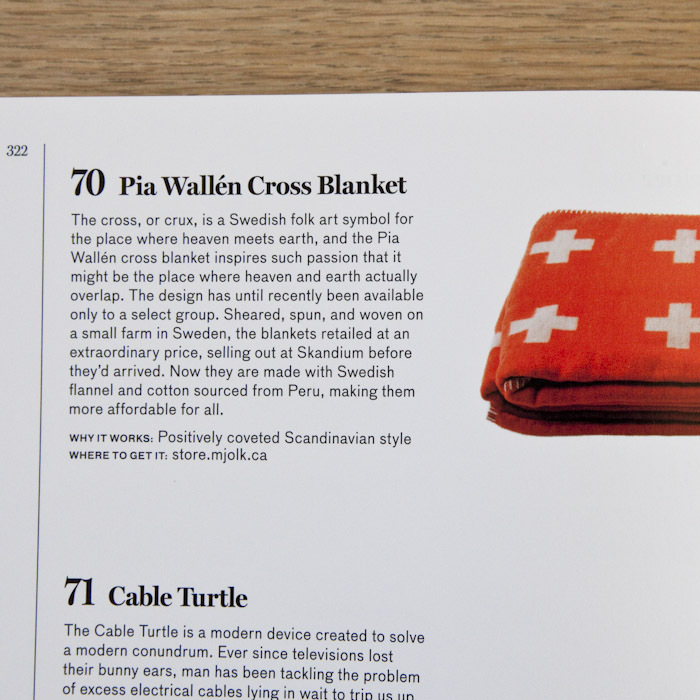 We were also pleased to see Pia Wallen’s Cross Blanket in The Remodelista 100 listing. But enough about us. The spaces featured all have a calm, homey feel. 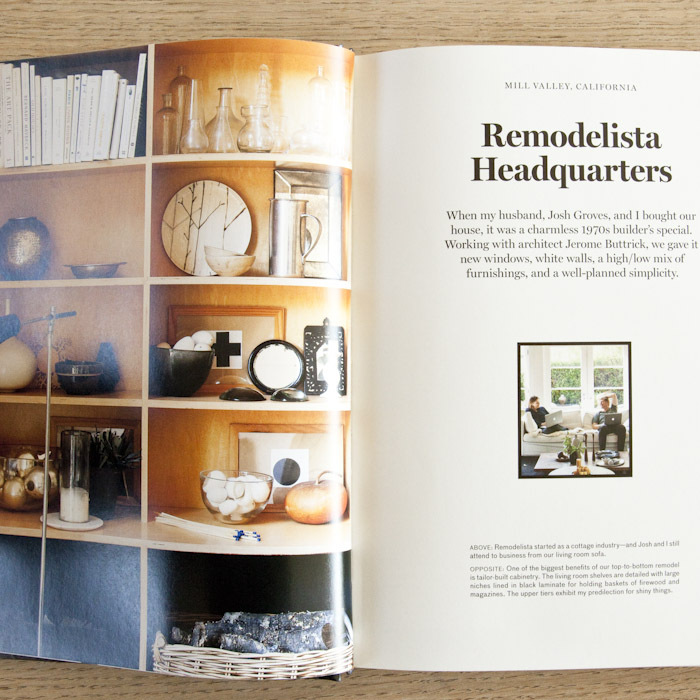 I really loved the Remodelista Headquarters, and their investment in mill work. That said, there are enough spaces to provide inspiration for more limited budgets. In the Remodeling Reality section there are plenty of things to remember when renovating, and some good tips too. 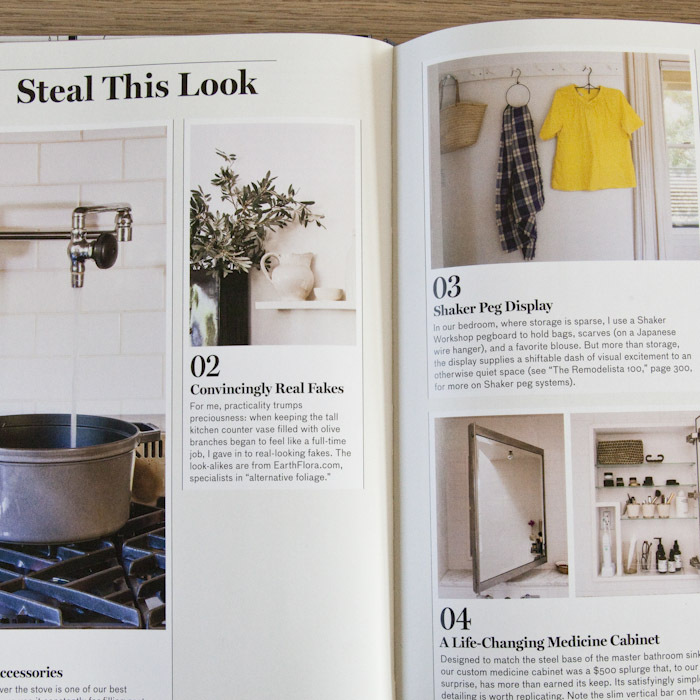 Each featured space has a Steal this Look section. The Shaker peg display is something we were considering at the cottage (the bedrooms were never really finished). 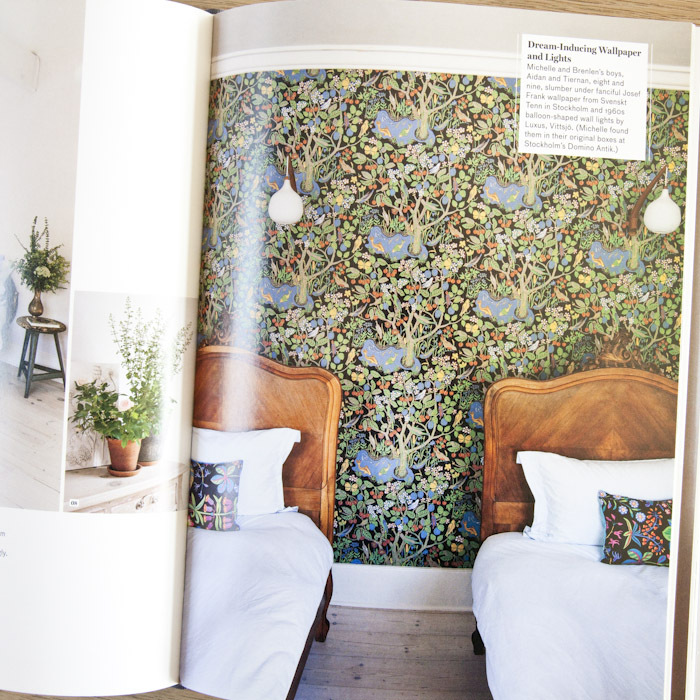 Same goes for the wall of Josef Frank wallpaper. This is the exact one we were thinking about for Elodie’s bedroom! It’s nice to see it used in a large application. 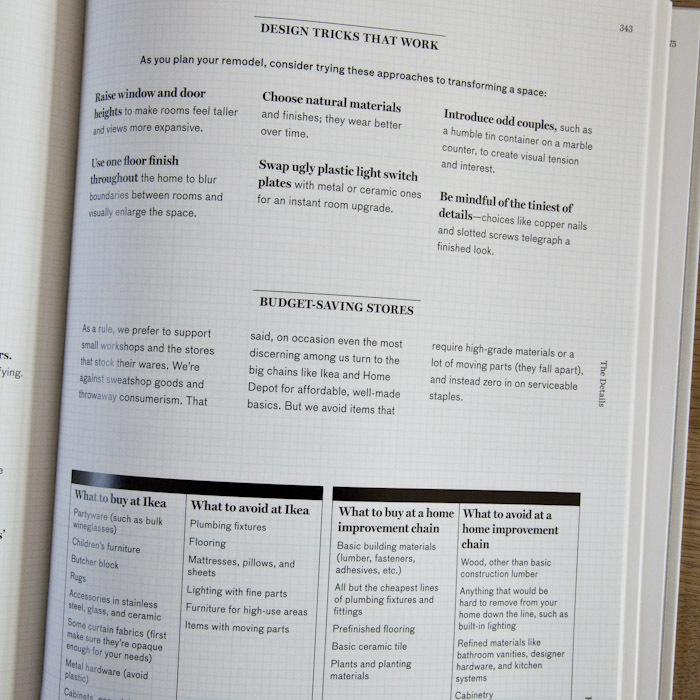 You can get it here or preferably at your local independent bookshop or retailer. « We’re on the Government of Canada’s website!